Enjoying The Course: Are my feet fat? I bought these shoes back in Oct or Nov. I thought buying shoes would be safe while I'm trying to lose weight. Something that would last and still fit even after a drop some pounds. I know, I know. I should be working. Or studying for my final. 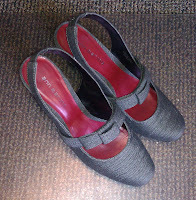 I loved these shoes when I first brought them home and the first few times I wore them. So, I ask again. What's the deal? Can feet get fat? 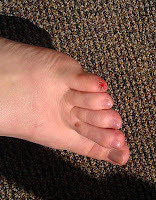 Oh, and I'm so desparately in need of a pedi, that my pinkie toe started bleeding this afternoon. Ok, so maybe it wasn't completely spontaneous. Any shoe that even remotely gives the impression of being tight, I won't buy them. I can't take it. But you know what they say, go shoe shopping toward the end of your day, that's when your feet are at their 'biggest' since they'll swell from all the activity. 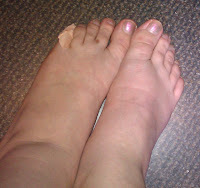 I'm not sure if feet get FAT, but I do know they swell, based on water retention, time of day, etc. I've gained and lost LOTS of weight in my life -the only time that the size of my feet actually changed was when I was pregnant - I actually (permanently) gained a 1/2 size. One of the gifts of having children *not*. At the time, I was so sad at having to give away so many shoes. @Laura, Thanks! :) Well, I know it's not the preggers thing for me. Perhaps it's just seasonal?? I'd be sad to give any so many shoes, too. My vote is seasonal and/or running. My feet swell when I run a lot. 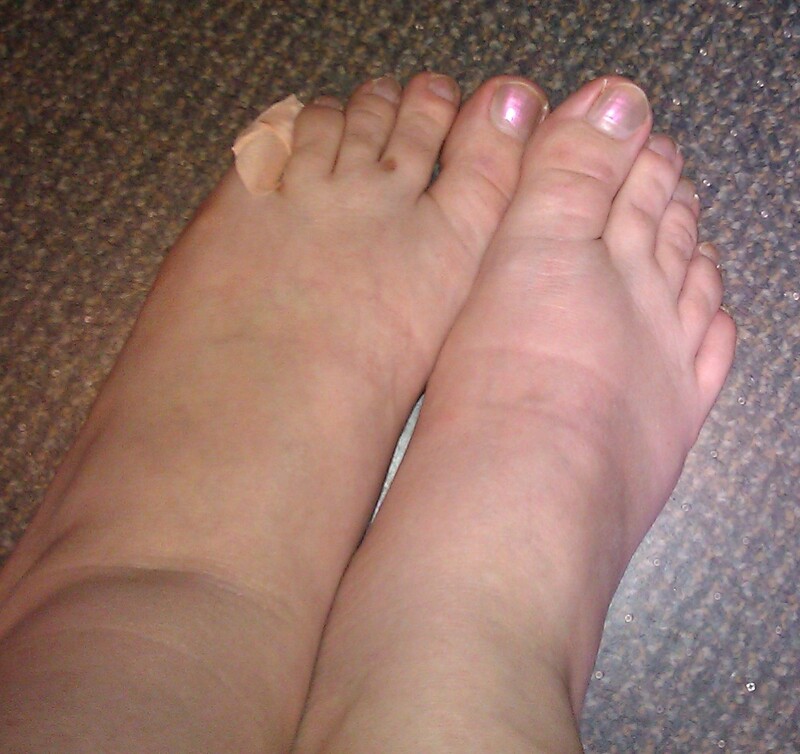 Well, that and my toenails fall off. 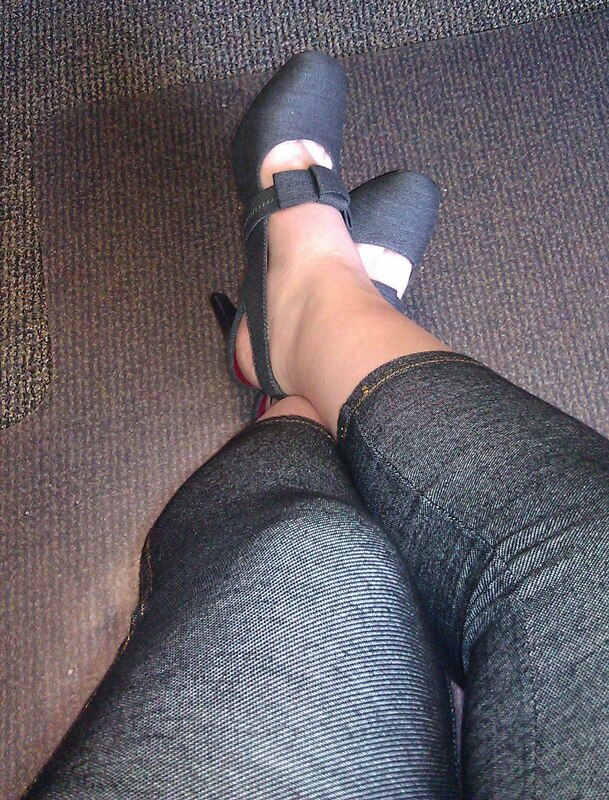 Clearly, my feet are sexxxyy! Those are seriously cute shoes!